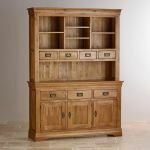 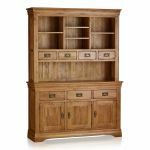 The French Farmhouse Rustic Solid Oak Dresser is a comprehensive storage unit fashioned by expert joiners from prime cuts of solid oak. 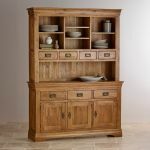 Inspired by antique French furniture, particularly from the Louis Philippe period, it is characterised by flared cornices, an arched base and antiqued drop bar handles. 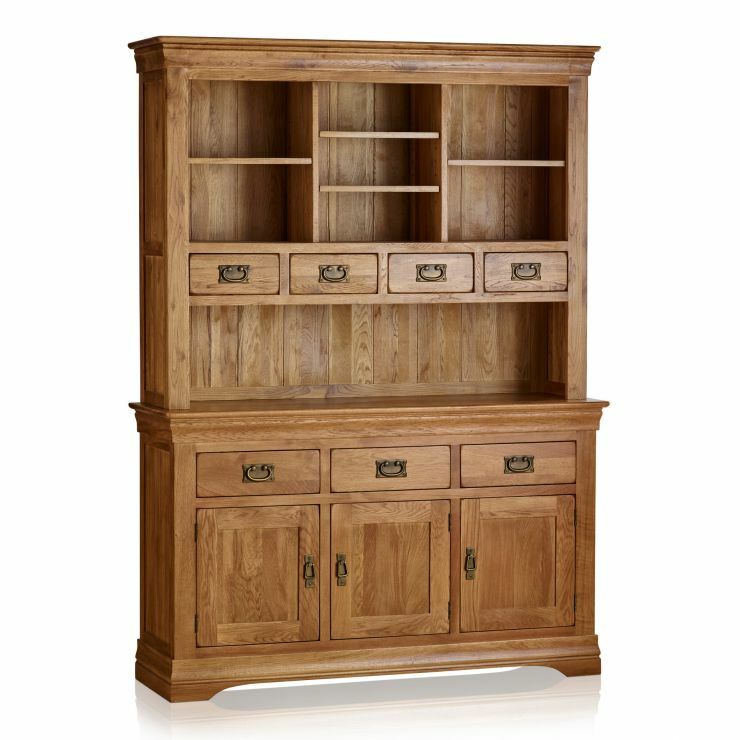 The top of the unit offers a plethora of storage options - from six shelves to four spacious drawers and even more space atop the bottom unit. 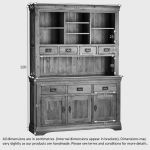 The lower half offers three generously-sized drawers and a large conjoined cupboard space, accessed by three pendant-handled doors. 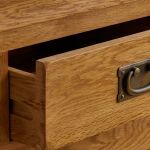 We only ever use the finest materials and we never use chipboard, MDF or veneers in any of our products. 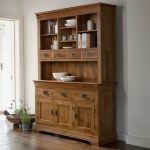 For more pieces of French furniture with a contemporary twist, take a look at the rest of this resplendent range. 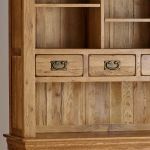 Please note: To ensure a safe delivery, this unit consists of two parts and will therefore require the top being secured to the base using a simple bracket (supplied).